Who are behind the Mauritius Australia Connection Web Sites ? The site concept was realised by Madeleine and Clancy Philippe back in 1994 when many Australians had never heard of Mauritius nor tasted Mauritian cuisine. The first web site was created to provide a vehicle whereby the Mauritian Community could network and communicate via the emerging internet technology. 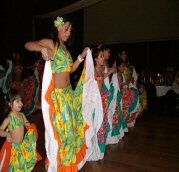 The Mauritius Australia Connection web sites were among the very first, if not the first sites on the internet to promote Mauritius and the Mauritian Community worldwide. In 1994, we were the only ones present. How are the web sites funded ? The web sites are almost totally funded by Madeleine and Clancy Philippe since 1994, apart from nominal incomes generated through banner and Google advertising. Accumulated costs so far would amount to tens of thousands Aus $. With the departure of Madeleine, would the Recipes from Mauritius web sites continue ? 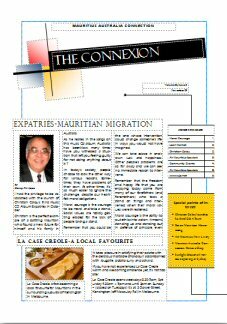 The Recipes from Mauritius web sites will continue. Many more recipes prepared and compiled jointly by Madeleine and Clancy are awaiting inclusion. Can the general public contribute to the contents of the web sites ? We receive and incorporate appropriate material all the time. Please send us your contributions. How many visitors to the web sites do you have daily ? We currently receive in excess of 4,500 visits daily. Where are the visitors from ? Most of the visitors are from Australia, Mauritius, UK, USA, Canada and France.